We receive orders for personalized burgundy & white 58” arc traveler auto – open umbrellas from brands who wish to strike uninterrupted conversation with their customers. People who receive this umbrella may retain it longer because it not only shelters them from winds and rains, but also makes them easily visible amongst crowd. 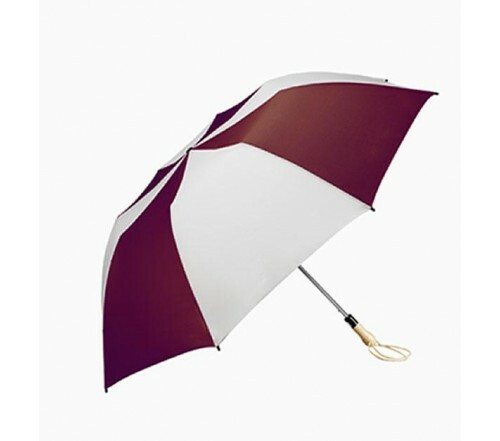 Promotional burgundy & white 58” arc traveler auto – open umbrellas can be gifted during some social events or regular marketing occasions. 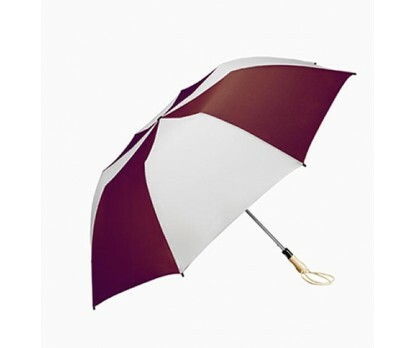 Features –58” arc burgundy and white canopy, sturdy metal shaft and wooden handle. Dimension – 58” arc closes to 22”. Imprint area – 12 1/8” W X 11 3/4 H X 6” Top.